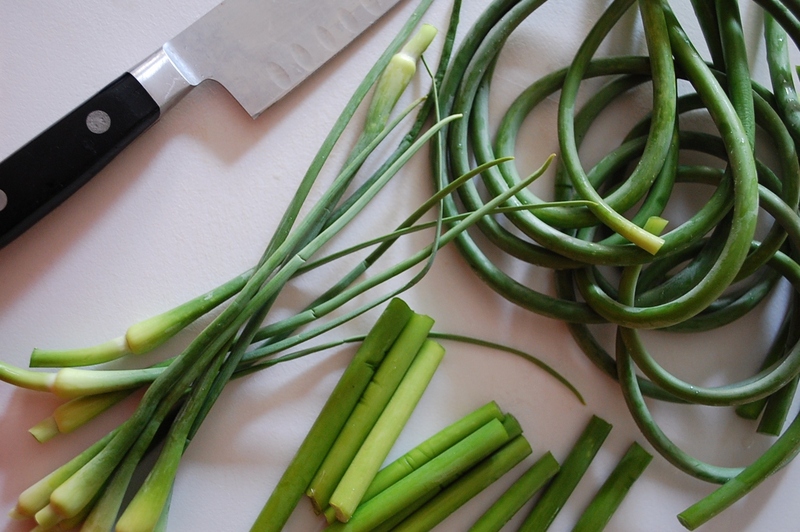 Garlic scapes are the young garlic shoots that appear just before the garlic bulbs are mature enough to harvest. 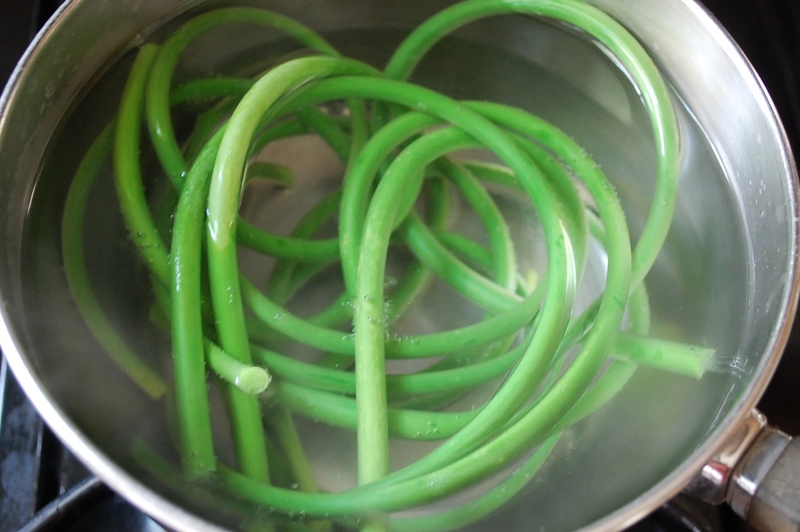 They smell like the bulbs, though maybe more green, taste like garlic, but are more like asparagus or even green beans in texture. The first time I was presented with a bagful I was perplexed. 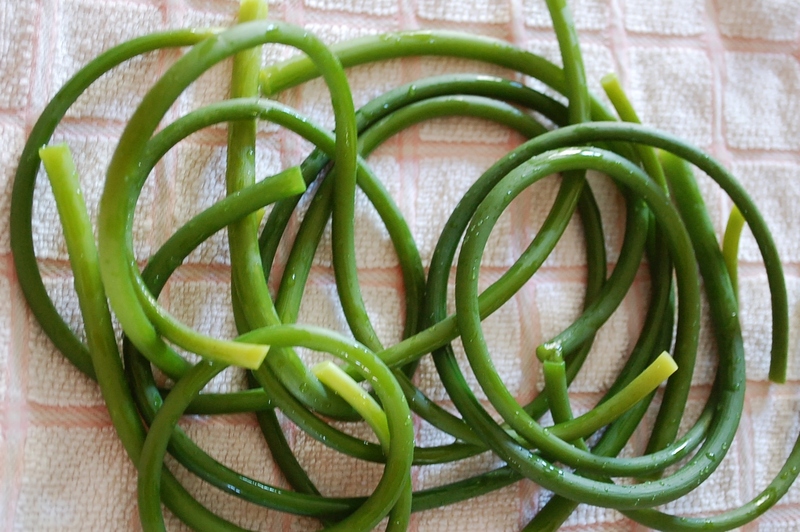 Since that summer, 2 years ago, I have dabbled in the various and endless possibilities garlic scapes present. 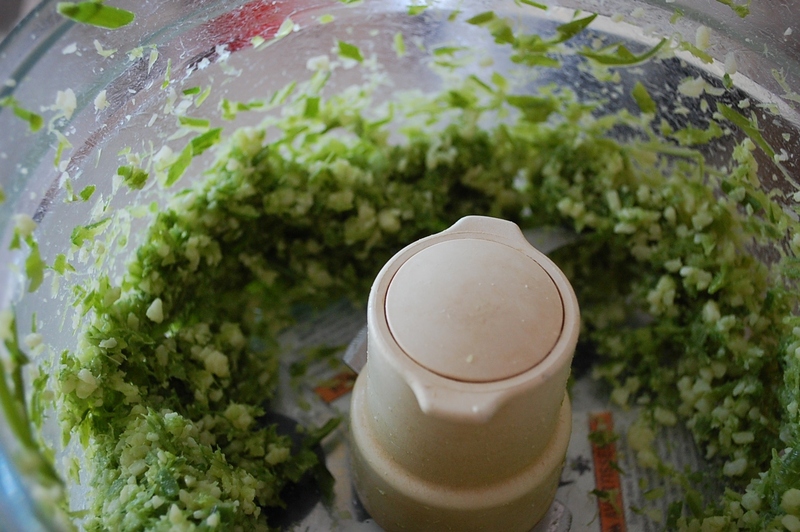 Chopped finely into any cooked dish you may want garlic in, they are a fresher, younger, more spring-like garlic flavor. Fresh, they offer a verdant garlic bite to preparations. 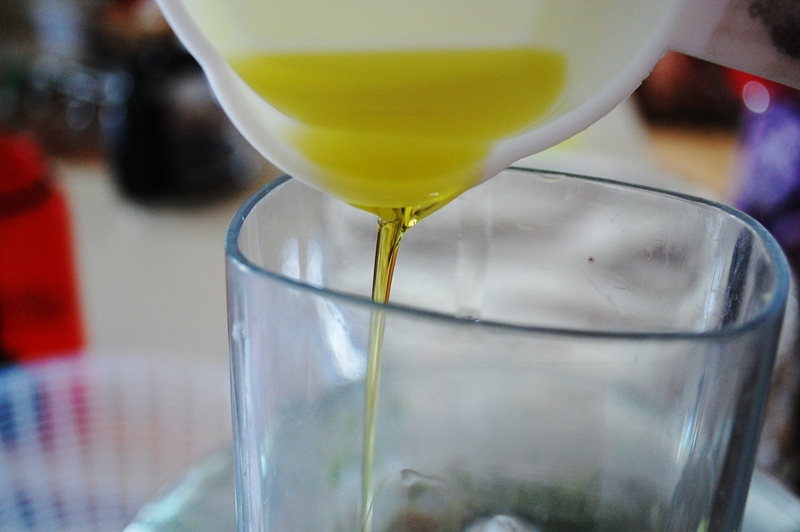 I have also enjoyed watching a relatively unknown, unused food become trendy in farmers markets and on food sites. It’s amazing to consider how our tables could be expanded if only we look at the full scope that plants have to offer. Not just the fruit, but the tops, finding uses for leaves and roots, previously discarded, discovering medicinal benefits to simple, whole foods. It’s so exciting to me! 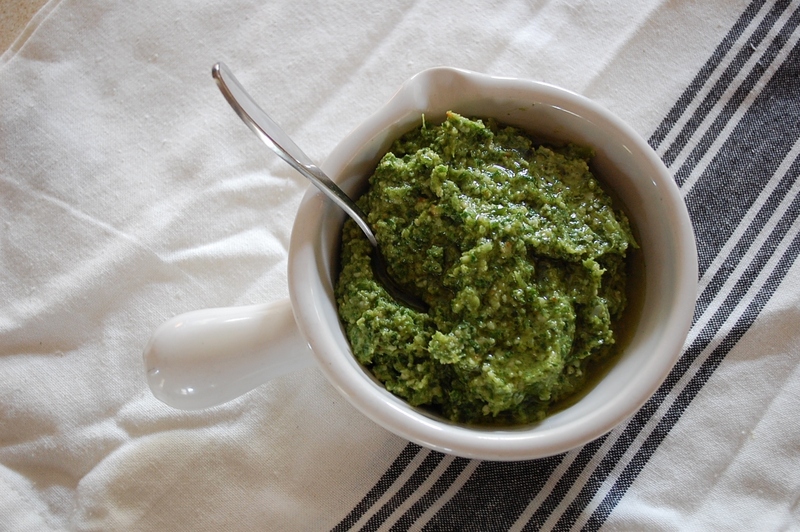 Pesto is a classic use of garlic scapes but here I tried to balance the straight-up garlic blast with pesto-y herbs and by blanching the scapes briefly to mellow them even further. 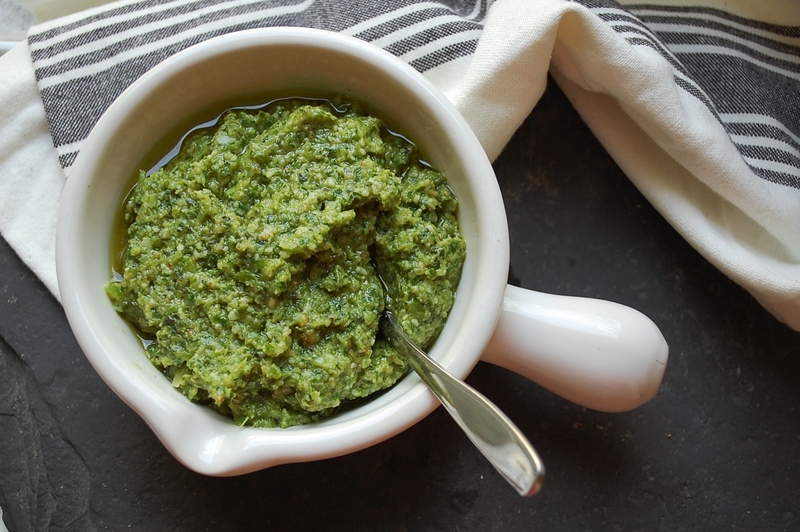 Be sure to season the finished pesto properly with sprinkles of salt, as poorly salted pesto feels overly rich on the palate. 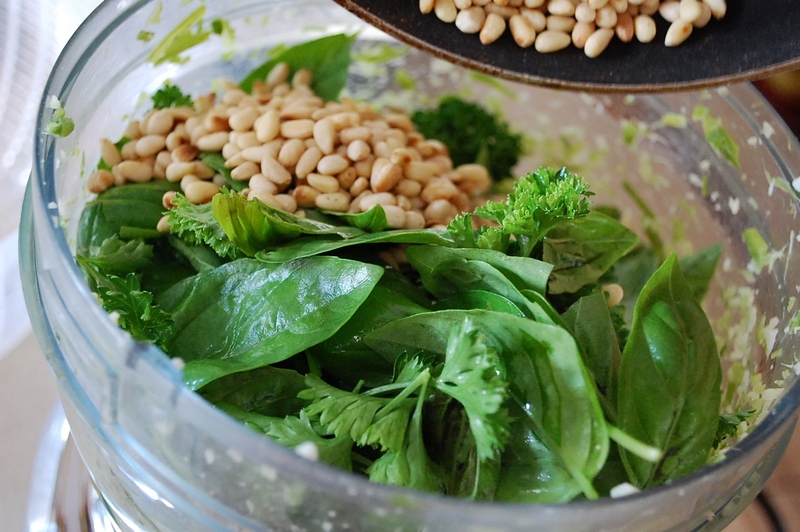 Feel free to add more olive oil to make the pesto as runny as you might wish…also, as pine nuts are at black market prices, you could also sub cashews or walnuts. 2. 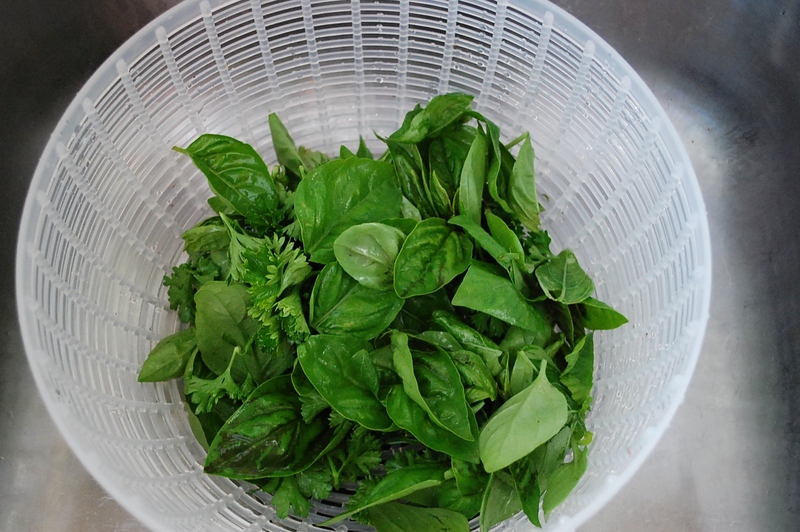 Rinse and spin dry basil and parsley. 4. 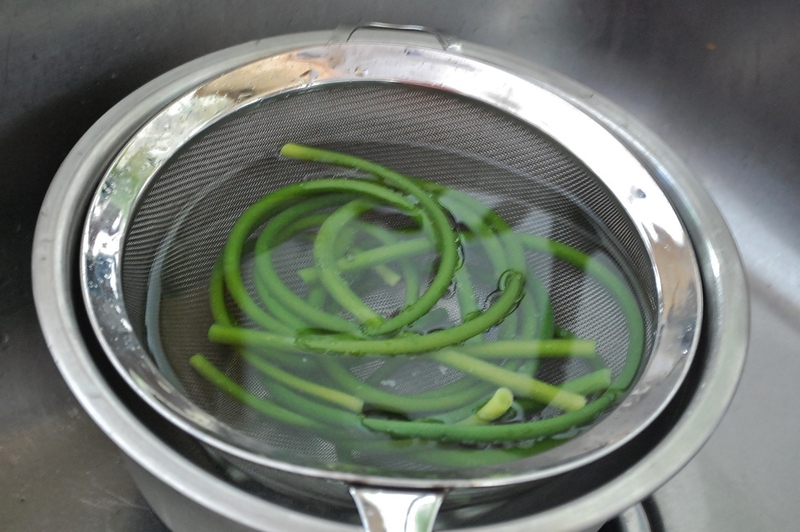 When the water is boiling, drop scapes in the water for 2-3 minutes, remove to a towel to dry. 5. 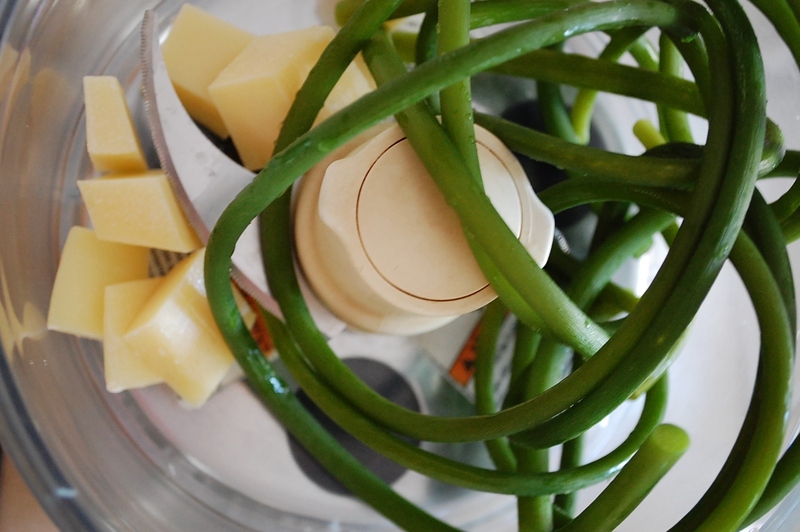 Chop Parmesan coarsely, add to the food processor along with the scapes, Process until pieces are relatively even and fine. 6. 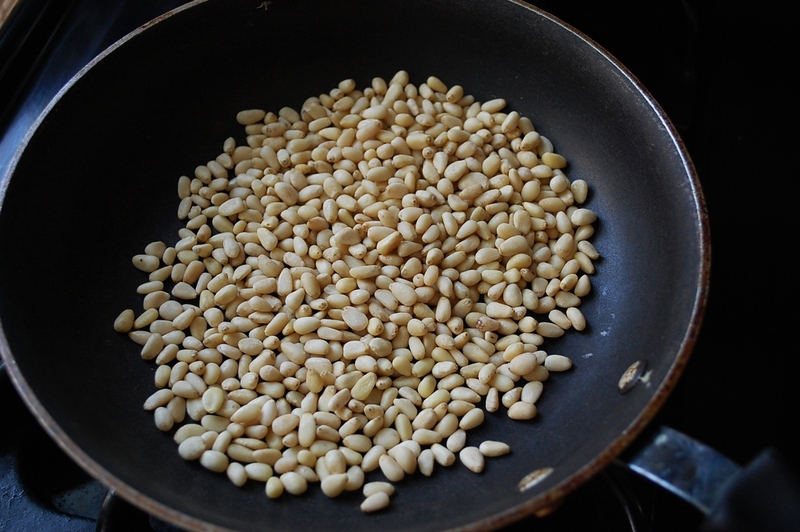 Add herbs, pine nuts, olive oil, salt, and pepper. Pulse briefly until even but still textured. 7. 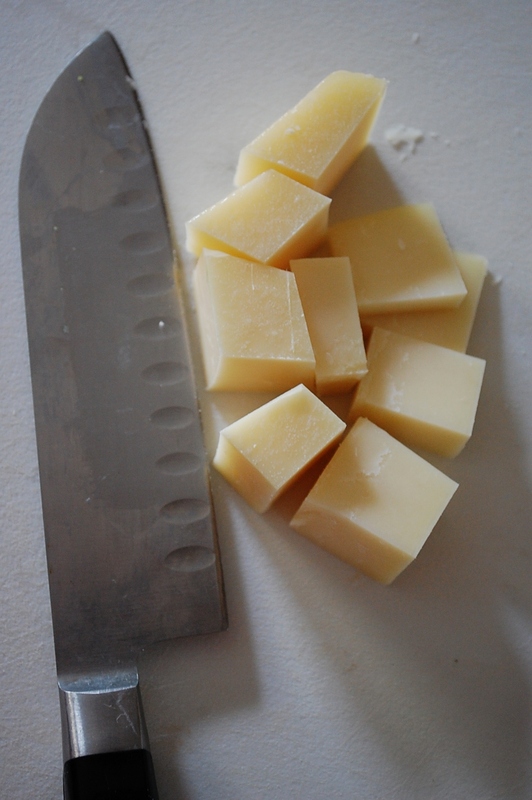 Taste for salt and use immediately, store in the fridge up to a week, or freeze for a luscious bite of early summer in your winter soups or pastas. 17 Jul	This entry was published on July 17, 2013 at 8:25 pm. It’s filed under Light Bites, Spring and tagged appetizer, dip, garlic, scape pesto. Bookmark the permalink. Follow any comments here with the RSS feed for this post.